Continuation of Choices of the Heart, concluding with Christy's wedding. 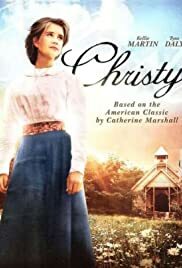 Kellie Martin does a wonderful job of bringing Catherine Marshall's heroine to life. Kellie is smart, convincing and lovely in this role. The series is has something for everyone - romance, drama and a universal message of faith. Christy is the best!